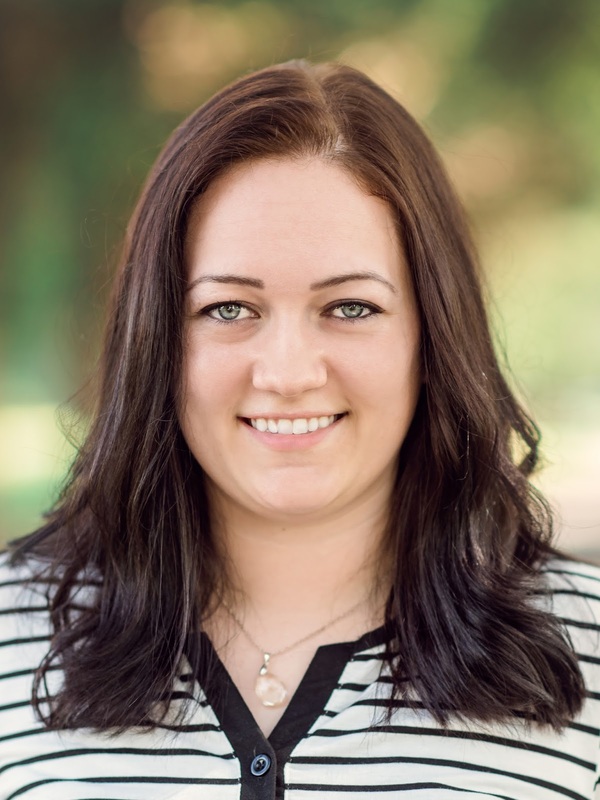 Interview with Jessica Alyse, author of "The Road to Austin"
Let's welcome Jessica Alyse to the blog! She's a very talented novelist who lives in Louisiana but has a big heart for Texas. So it's not a surprise that her new novel, The Road to Austin, is about that great state. 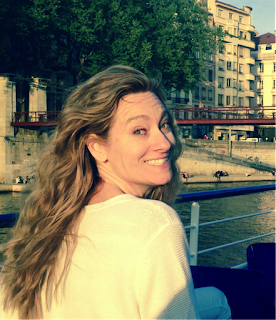 Get to know Jessica Alyse via this author interview today. Enjoy! Alexis: What inspired you to write this book and why do you call it, The Road to Austin? Jessica: About seven years ago, I had a strong urge to travel. Like, serious cross-country road trip kind of travel, and since I was a young, broke teenager I decided I would write a book instead. That’s where the idea began, but I never had a clue how beautiful this story would turn out to be. When I started brainstorming it, I knew that I wanted my characters to live in Texas and I loved the name Austin so that was where the story blossomed. As it took shape, the title The Road to Austin became a parallel. It’s not only about this comical road trip with flamboyant characters and original experiences but it’s also about getting to know the heart of the hero, Austin Brooks – who can also be described as comical, flamboyant, and original. It’s about traveling the road to Austin, Texas, as much as it is about getting to know the hero on the road to Austin Brooks’ heart. Alexis: Your story’s heroine Natalie Hallie faints before she boards an airplane and that cancels her flight. What was the significance of that scene and what does it tell your readers about Natalie? Jessica: That scene is a brilliant way to kick off the story! So, Natalie – besides being a perfectionist and control-freak – has a fear of getting hurt. She doesn’t trust planes because she’s afraid of heights and has no control over who flies them and where they’re going. Because of past experiences, she has huge walls around her heart that keep her safe mentally, emotionally, and physically. When she passes out, it goes to show you how her need for control and her greatest fear collide – literally knocking her out – and how she highly she values her safety and security. In walks Austin Brooks and this is where her story begins. Alexis: Describe Natalie’s relationship with her sister. Do they get along? Why or why not? Jessica: If it were up to Natalie, they’d get along like PB&J. But Natalie’s sister, Kelsey, isn’t always on the same page. She’s ten years younger than Natalie and has her own agenda that most people might see as selfish. Because of her childhood experiences, Kelsey has learned to look out for herself because nobody else will. That’s her perception of life and the world. If she’s not putting herself first, then nobody else is going to. Natalie strives to get along with Kelsey but sometimes Kelsey makes demands that Natalie can’t meet. That’s where the friction in their relationship comes in. Besides that, they’re best friends and Natalie would go to the ends of the earth to make her baby sister happy. Alexis: Your story’s hero Austin Brooks is painted as hunky but also annoying, at least in Natalie’s eyes. What is it about Austin that makes Natalie roll her eyes? Alexis: Natalie and Austin spend several days together on the road to Austin. Describe their journey in five words. Jessica: Colorful. Hectic. Encouraging. Romantic. Hopeful. Alexis: You tackle the tough issue of abuse in this story. What message concerning this do you want to convey to your readers? Jessica: The message in this story is one of hope. Abuse is a representation of a greater evil in the world we live in. It’s one of humanity’s darkest sins and is a battle to be won in the heart. When I decided to thread the conflict of abuse through the story, I knew I couldn’t do it lightly and the worthiest opponent to abuse is hope. Hope inspires strength, it inspires power. Hope can turn a broken dream into a mountain-shaking prayer. With hope darkness, lies, and deceit will be extinguished and the plans of Satan will be put to death. Hope is the sister of peace and the first step toward a greater faith in Jesus Christ. Alexis: What do Natalie an Austin do for a living? How do their talent and individual career choices impact their outlook? Jessica: Natalie is a law student and intern. She studies – begrudgingly – and that’s about all she does. This is what causes her lackluster outlook on life. In Natalie’s eyes, life is to be taken seriously with no time for fun or mistakes. Her idea of enjoying herself is getting behind her camera to take pictures of landscapes and sunrises where she can escape the monotony of life from time to time. Austin, on the other hand, is a nighttime security guard and ex-cop. While it’s not his dream job, it helps keep his imagination brimming with ideas. His passion lies in art, creating pictures with colors and using different mediums to evoke emotion. This is part of what keeps him happy and carefree. Because life just looks better in watercolor. Alexis: Where are your characters in their faith journey with God? How do they view God and how does their view impact how they see the world and relate to people? Explain. Jessica: Austin is a lifelong Christian who briefly walked away from his faith for seven years. Natalie is a new Christian who gave her life to Christ the same time Austin was rededicating his, unbeknownst to the both of them. They’re both on the same page when it comes to knowing that the Lord is the Father that they both craved all their lives. For Austin, his faith keeps him alive. Without his relationship with Christ, he would become bitter and cold, losing all contact with others and withering away in the meanwhile – which is similar to Natalie’s view. While she prizes her faith, she isn’t quite sure how to use it and how far it stretches. Her past experiences have caused her to become pessimistic, closed-off, and distant. Part of getting to know Austin all over again is just the first step in a journey toward a more authentic relationship with Christ. Alexis: What was your greatest challenge in writing this story? Explain. Jessica: Oh, boy. That’s a great question. My greatest challenge was finding the right way to tell Natalie and Austin’s story, if that makes sense. This was a story that God cultivated in my heart over the years, stirring up ideas and details until I could see the vision clearly. My biggest problem was that I was an amateur writer when I first started writing The Road to Austin. I had only one novella out and I was still learning the ropes of fiction. I knew I wanted this story to live up to its fullest potential and I wasn’t giving up on it until the readers could see the story that the Lord had put on my heart. It took me nearly two years to write this one and I learned A LOT with it. Austin and Natalie were definitely Guiney pigs there for a while. There are probably close to a hundred scenes that I had to take out and rewrite because I wasn’t quite sure of what words to use in order to capture the vision that had been swirling around in my mind. Now that it’s all said and done, I couldn’t be happier with the final story. It’s awe-inspiring, even to its author. Alexis: What do you want readers to remember about The Road to Austin? Why? Jessica: When readers put down the book after the final chapter, I want them to return to reality remembering that their lives are beautiful. That they have what it takes to overcome the challenges they face in their life. I want them to remember that there is always hope – it never runs out and never expires. For the ladies, the next time you feel not good enough or unworthy, I hope you hear Austin’s voice telling you that you’re beautiful just the way you are. For the guys (if I have any guy readers) I hope you hear Natalie’s voice telling you to never give up. Alexis: If you could spend one day with Natalie, what would you do? Why? Jessica: Why does that question make me nervous? I think I would go shopping with her and talk over coffee. She would be so much fun to hang out with because of her snarky yet accepting attitude. I would love to spend time looking through her pictures of Texas landscapes and getting to know her favorite spots. And then I would HAVE to have dinner at her house so I could meet Austin because how could I not want to meet Austin? Alexis: Complete this sentence: When I was writing about Natalie and Austin’s journey on the road to Austin (Texas), I thought _­___________________ because _________________________. 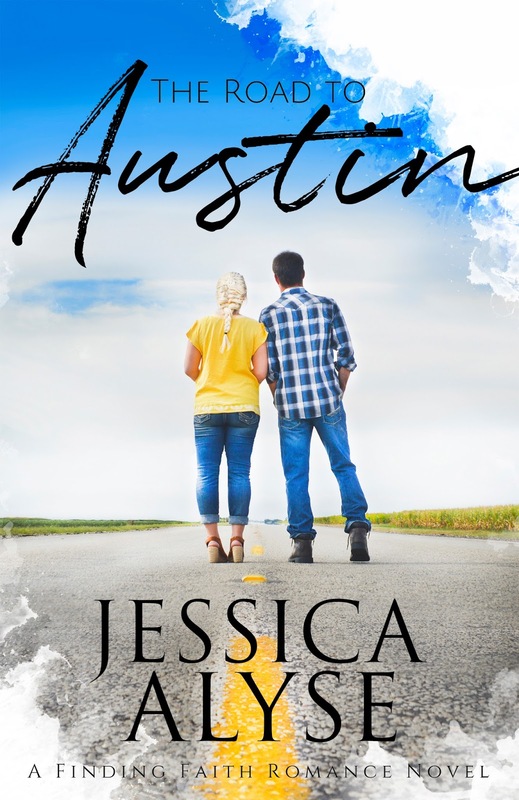 Jessica: When I was writing about Natalie and Austin’s journey on the road to Austin (Texas), I thought, this story is changing my perspective on life because getting to see things through Natalie and Austin’s eyes teaches me how to be the light in a world of darkness. Alexis: Thanks for the interview, Jessica! Would you like to share closing thoughts? 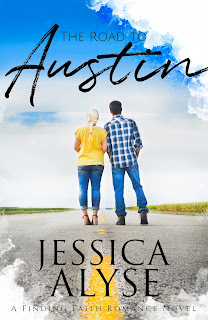 Jessica: For readers who found themselves falling in love with Austin and Natalie, I have great news! They have one more book! Set to release next summer. Visit my website at www.jessalyse.com and sign up for my newsletter and don’t forget to stop by my Facebook page and connect with me at www.facebook.com/writer.jessalyse. Thanks so much for having me, Alexis. This was tons of fun! I hope I don’t talk too much. Jessica Alyse is a Louisiana girl with a heart for Texas. 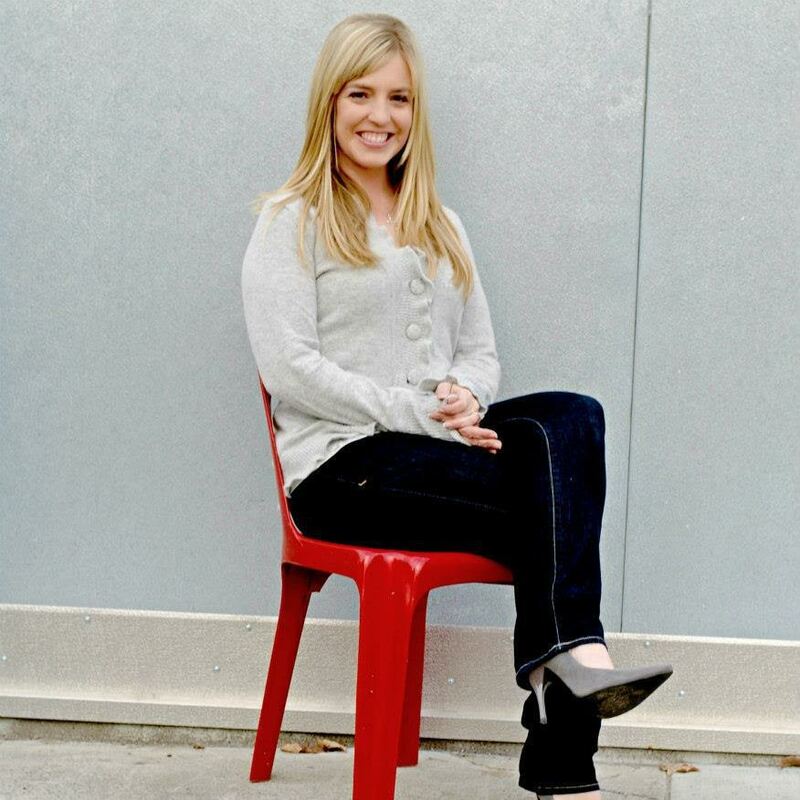 A member of the American Christian Fiction Writers, she has a passion for storytelling, romance, and Jesus Christ. When she’s not writing, you can find her bookbinding, daydreaming about the day her stories are adapted into movies, or in the event of a football game, cheering for the Green Bay Packers. Natalie Hallie is a woman on a mission. She needs to get home in time for her sister’s wedding. Austin Brooks is a man of spontaneity. And he needs coffee. To get to Austin, Texas, Natalie refuses to step foot on a plane. She'd rather accept a ride from the reckless and wild boy from her childhood who, in her opinion, hasn't changed all that much. If she can just get through three days of his witty commentary and cheesy jokes, then life will return to normal. That is, if bad eggs, thieving monkeys, a tornado, a dilapidated motel, and a stolen truck don't do her in first. The world looks better in watercolor. Or so Austin believes. He finds it easier not to take life so seriously, unlike Natalie. Things change when they spend three days together and her long-buried feelings start to surface. That’s when Austin finds himself getting serious…about praying for Natalie’s heart. On a journey where the skies aren’t always blue, graffiti isn't always illegal, and bathroom breaks aren't always a good idea, the past starts to catch up with them. When secrets of her brother's death, Austin's past, and Natalie's family begin to come to light, they'll learn there's more to life and love on the road to Austin. Alexis: What inspired you to write this story, “First Love”? Tempting as that was, I thought my contribution would fit the collection better if it were contemporary fiction. Searching for an earthbound topic, I remembered the field at the top of the hill behind the place where my husband and I lived for 29 years. I used to think it would be nice to put a little house up there. This was my opportunity to do just that: in my story, I put a tiny house on the edge of that field, then imagined who might want to live there and why. 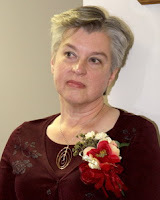 Alexis: Tell me about your story’s heroine Minda Miller. Describe her looks, personality, and heart. What is her most major character flaw? Yvonne: Minda is an ordinary middle aged Christian. With a charming husband, one married daughter, an adorable Norwich terrier, and a nice house in the suburbs, she was content with her life until… well, you bring that up in your next question. Character flaw: she tends to be superficial. She figures if something looks good, it probably is good, so she’s more concerned with appearances than the substance beneath the veneer. Alexis: Tell us about Minda’s husband. What is his name? Why did he, after 30 years of marriage, leave Minda for a girl who was younger than her daughter? Yvonne: Minda’s husband—or rather, ex-husband, by the time the story opens—is named Leonard. Not Leonard Miller, because after the divorce, Minda took back her married name. I never actually gave him a last name in the story. He’s just Leonard. He had always been drawn to sweet young things, and the girl he ran off with was not his first affair. The older he grew, the older his wife grew (funny how that happens) and the more he dissatisfied he became with her age. The whole scenario is sad, and the worst part is, he’d been a Christian since he was a teenager. Makes me shudder! But he put his fleshly desires above everything else and fell for the devil’s lies. Alexis: How does her husband’s cheating and scandal affect Minda’s heart? Yvonne: Minda is deeply hurt, of course. Savagely betrayed. Having fallen head-over-heels for Leonard when they were young, she’d devoted her life to him ever since—and this is how he repays her? She’s vengeful enough to make sure her attorney got every last penny out of the scoundrel that was legally possible. Once that’s accomplished, she resolves to take the money and make a fresh start, to do what she wants instead of styling her life to suit Leonard. That’s when she decides to go back to the rural community where she lived as a child. She buys a piece of property, puts a tiny house on it, and prepares to make a new life for herself.All the while, she’s aware she needs to forgive Leonard, that she’ll never be whole again until she does. She never used to have any trouble forgiving people, but she’d never been seriously offended before. This is different, though. There’s nothing small about this offense, and nothing easy about forgiving it. The inner struggle causes her to re-evaluate her relationship with the Lord. Alexis: How does this heartbreak affect her faith in God? Yvonne: Her relationship with the Lord has been casual up to this point, but real, and she has just enough faith to not blame God for what’s happened—she blames only Leonard. No matter how hard she tries, though, she can’t summon the grace to forgive and doesn’t know how to find that grace in the Lord. Alexis: Where does Minda move to start over? Why did she choose to build a tiny house and settle in there? Does she have kids from her marriage? If so, where are they at this point? Yvonne: The rural area where she lived until she was ten years old represents her pre-Leonard years, which in her memory were rosy and unencumbered. 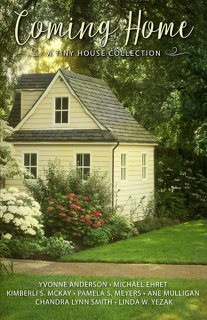 So when she learns of ten acres listed at a must-sell price, and at the same time stumbled upon a bargain price on a lightly used tiny house, she pounces on both and puts them together. She and Leonard have a married daughter. The couple is on the mission field in Peru. Alexis: Who was Minda’s first love? What made her fall in love with him? Do they reunite in this story? Yvonne: Minda met a boy at Vacation Bible School the summer before kindergarten. Though both were only five years old, they formed a close connection in that short week, and she never forgot about him. Alexis: Who are Dan and Becca? What role do they play in this story? Yvonne: Minda bought the property from them. They live in the big house at the foot of the hill upon which Minda’s tiny house sits. Because they’re neighbors, she sees them now and then, but I don’t want to say too much about their roles lest I spoil the story. Alexis: Describe Dan. Talk about his looks, personality, and heart. What would you say is his most major character flaw? Yvonne: Like Minda, Dan is rather average in the looks department. Average height, weight, and like many men his age, he’s gray and balding. He recently retired from the military, where he served as a chaplain. He has a heart for the lost and the hurting, but he sometimes tends to be a bit impatient. He wants to step in and fix things, but some things can’t be easily fixed. Alexis: What is it about Dan that makes Minda want to know more? Yvonne: Nothing, really. He seems like a nice enough neighbor, but she’s had it with men at this point. Besides, isn’t he married to Becca? She doesn’t even want to accept his help with her washed-out driveway after a rainstorm. She’d rather let him and Becca live their lives down in the valley and keep to herself up on the hill. Alexis: What is it about Minda that draws Dan in? Yvonne: Her unusual name. He once knew another Minda many years ago and has fond memories of her. Alexis: How does Minda realize that Jesus Christ is her First Love? Explain how that affects the story arc. Yvonne: Though she’s been praying about her inability to forgive for a long time, she’s not making any progress. But you know, when we pray, God always hears, even when we don’t see an immediate result. The phrase first came up one Sunday when a pastor quoted Revelation 2:4, “thou hast left thy first love”, and all she could think was that it wasn’t she who’d left her first love; Leonard did. It just fueled her anger. Later on, she runs across the same passage during her personal Bible reading. This time, recent experiences cause her to realize that Jesus was her first love. Not Chris, and not Leonard. She’d come to Christ as a teenager, but after meeting Leonard, she elevated him above the Lord in her affections. Realizing that she left her First Love, but He’s forgiven her, fills her with such amazement and gratitude that she finds in Him the grace to forgive Leonard. This changes everything for her. Yvonne: We can’t make ourselves be godly, no matter how hard we try. But when Jesus is truly the Lord of our lives, everything else falls into place. Alexis: Thanks for the interview, Yvonne! Do you have any closing comments? Yvonne: Thank you for allowing me to stop by! Your interview questions were great—definitely not the same old routine. Love it! Usually, that means out of this world and into outer space, or to another planet, as in her acclaimed Gateway to Gannah series (Book 1, The Story in the Stars, was an ACFW Carol Award finalist in 2012). In addition to this tiny house collection, she’s preparing to launch a new multi-phase speculative fiction adventure, The Four Lives of J. S. Freeman. As with the Gannah series, the story is set on a fictional planet, but the characters are human. Very human. You probably know some of them. Look for the first part of Book 1, Stillwaters, coming soon on ebook. Book blurb for the Coming Home story collection: Tiny houses are all the rage these days, but what can you do with something so small? Here are seven stories about people chasing their dreams, making fresh starts, finding love, stumbling upon forgiveness, and embarking upon new adventures in tiny houses. Travel with them around the country in this big novella collection. Blurb for Yvonne's story, "First Love": Betrayed by her husband and desperate for healing, she can only move forward by going back home. 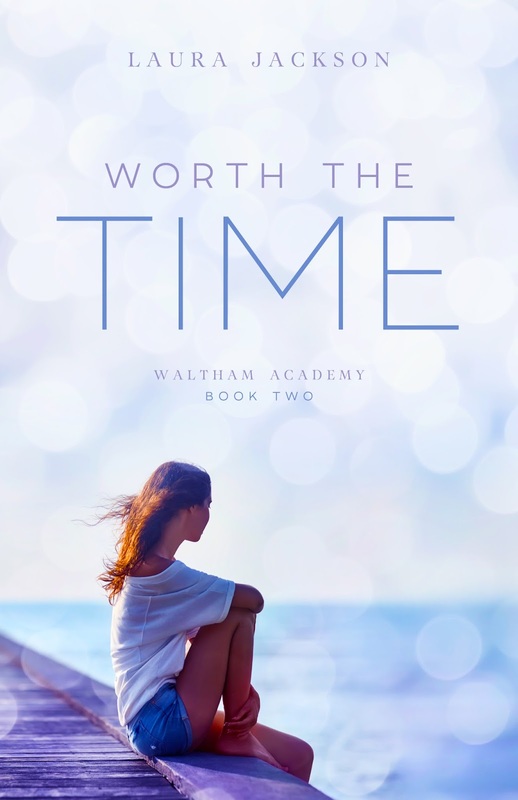 Summer Love: Interview with Laura Jackson, author of "Worth the Time"
Alexis: What inspired the title “Worth the Time” for your story? Laura: Lindsey, the main character, is the mean girl in the first book in the Waltham Academy series. Behind her catty attitude and conniving schemes is a girl who just wants to be noticed, a girl desperate for those she loves to have time for her. Alexis: Tell us about your story’s heroine Lindsey Hamilton. What makes her tick? What brings her great joy? What breaks her heart? Laura: Lindsey is a girl in hiding. When she’s embarrassed and has her heart broken in front of her entire school, she’s determined not to ever be hurt again. She has built a cold fortress around herself, but like most people, she just wants to be noticed and loved. Alexis: What is it about Lindsey that allows her to get whatever she wants? Would you say that she’s ruthless? Why or why not? Laura: At the beginning of the novel, Lindsey is ruthless. She knows what she wants and uses her good looks and popularity to get what she wants. She has little regard to how her schemes affect anyone else. Alexis: Who is Ellie Lansing and what role does she play in this story? Laura: Ellie is the heroine in Worth the Wait, which is the first book in the series. She’s dating Dylan Grant, and Lindsey wants him. She also wants Ellie’s seemingly perfect life. Alexis: Who is Dylan Grant and how did Lindsey steal him from Ellie? What does she need to do to keep him as her boyfriend? Laura: Dylan Grant is the stereotypical popular guy in high school. To Ellie, he’s her childhood friend and long-time boyfriend. To Lindsey, he’s a status symbol. I don’t want to give away too much of the plot of Worth the Wait to say how Lindsey gets him, but once she has him, she realizes sometimes what we want isn’t what we need or expect. Alexis: Snagging Dylan made Lindsey the most popular girl at Waltham Christian Academy but her heart is still empty. Why? Laura: Lindsey is a desperate girl—longing to be popular, to be accepted, to be noticed. But those things don’t fulfill us. Only Christ can, and like many of us, Lindsey struggles to see that. Alexis: Who is the “real” Lindsey? What does it take for her to stop being fake, heal and become a whole person? Laura: There’s a guy. Sutton. Lindsey has to complete volunteer hours, and Sutton works at Covington House, where Lindsey is serving. He’s the first guy who doesn’t fall for her, so he intrigues her. He’s a Christian like many at her school claim to be, but he’s different—his faith is real. Because she spends so much time being fake, Lindsey is desperate to cling to something real. Alexis: What role does faith in God play in this story? Explain how it affects the lives of your characters. Laura: Sutton lives out his faith. He loves Christ and serves at Covington House out of that love while Lindsey is there because she won’t graduate without volunteer hours. Through her friendship with Sutton and her new relationship with the father she never knew, Lindsey learns that the One who created her not only loves her but also has time for her. Alexis: What role does high school counselor Mrs. Santana play in turning Lindsey’s life around? Explain. Laura: Mrs. Santana sees beyond Lindsey’s walls to notice the girl desperate to be loved. She uses Lindsey’s volunteer requirement to build a relationship. When her mom doesn’t have time for her, Lindsey turns to Mrs. Santana for advice. Alexis: Who is Sutton McCoy and why does he have a bad first impression of Lindsey? Is his first impression his last? Explain. Laura: Sutton McCoy works at Covington House, where Lindsey is required to volunteer. He sees her as another snobby girl forced to volunteer. Because he serves weekly, Sutton cares deeply about the kids who come to Covington House. He doesn’t want to see another person come into the kids’ lives just to walk away again. Luckily for Lindsey, his first impression isn’t his last. Alexis: Sutton’s been through trauma in his personal life. How do the effects of that trauma prevent him from pursuing a romantic relationship with Lindsey? Laura: Sutton judges Lindsey some—he sees her as a pretty, popular cheerleader from a ritzy private school. What could she possibly know what it feels like to have lost a father at a young age and to have a mother battling drug addiction? So, first, that causes him to not even want to be friends. His past has also given him a strong desire to make something of himself, and he can’t be distracted with a flighty girl. Alexis: What role does Lindsey’s biological father play in her life? How does he affect her character arc? Explain. Laura: Lindsey always thought her dad walked away before she was born, which wasn’t true. When her biological father finds her and wants a relationship with her, Lindsey’s world is rocked. All these lies she’d told herself were no longer true, and she learns that maybe she didn’t need those walls to protect her heart after all. Alexis: Why doesn’t Lindsey believe in a loving God? What makes her change her mind? Laura: Our earthly fathers play a big role in how we see our heavenly father. It’s hard to imagine God as a loving father when your own father never wanted you. As Lindsey gets to know her father—as he pursues a relationship with her—she begins to see how much God loves her too. Alexis: What was the most challenging aspect of writing this book? Why? Laura: Lindsey was such a mean girl in book one that I struggled to convey her wounded heart. In my mind, I loved her because I knew her, but I worried readers wouldn’t see her like I did. In the beginning of the book, she’s broken and angry. She lashes out. I prayed readers would give her a chance because I do think Lindsey’s story is an example of the transformation that happens when Jesus comes into our lives. Alexis: What do you want your readers to remember most about Worth the Time? Laura: I want them to know that they are loved. The One who spoke and created galaxies not only loves us but pursues a relationship with us. Alexis: Thanks for the interview, Laura! Would you like to share closing thoughts? Laura: Thanks for having me! Laura Jackson loves books—reading and writing them. 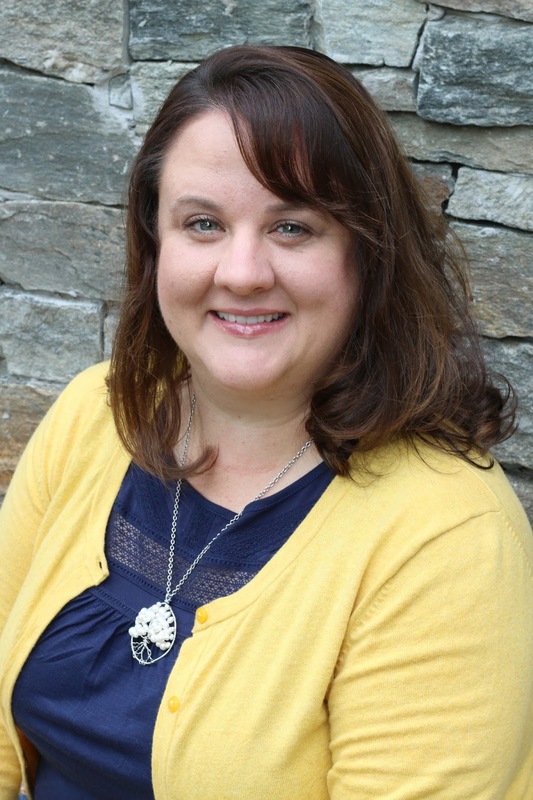 A life-long reader, Laura studied English in college and taught 7th-grade language arts before earning her Master's degree and becoming a school librarian. Now, she spends her days sharing great books with kids and her evenings writing books about teenage girls discovering God and His plan for their lives. Doesn't anyone feel she's worth their time? Routinely ignored by her single mother, high school senior Lindsey Hamilton hides her loneliness behind a mask of flirtatious self-confidence that has many boys wrapped around her finger. However, during community service required for graduation, she meets a shy guy with a haunted past who barely gives her the time of day. Why doesn't he like her? Then the father she thought had abandoned her before birth wants to meet, and she discovers everything she believed about him is a lie. How will Lindsey learn to trust so she can realize that she has been loved all along? 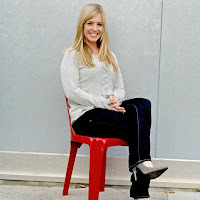 Welcome Jennifer Dornbush to the blog! She's been here before with a lovely devotional but today, she's here to answer my questions about her debut novel, God Bless the Broken Road. She's also offering you a chance to win her book! Details about the book giveaway contest are toward the end of her interview. Alexis: Tell us about the inspiration behind your book, God Bless the Broken Road. What is this book about? Jennifer: God Bless the Broken Road is a heartwarming story about a grieving army widow who finds her way back to her daughter, her faith, and a new love. Amber Hill never imagined she would find herself a war widow and single mom. She feels robbed and is angry at God, and she doesn’t know how to help her nine-year-old daughter Bree through her grief. Where, Amber wonders, are the Sunday dinners, the picnics, the bike rides, the time together they should be enjoying as a family? Instead, Amber is left with a folded flag and an empty heart. Alexis: What do you want your readers to remember the most about this book? Jennifer: The book actually started as a movie script that I co-wrote with Harold Cronk. When we were writing the script, the top two take-aways we kept in mind were first, that God is always with us, even if we don’t feel like He is or aren’t seeking Him actively. He is always there and He is always providing us with amazing blessings, even when/if we don’t acknowledge them. One of the keys to healing and hope on our broken roads are to turn our gaze to Him so that we can start to recognize Him along the path. When we turn to Him and humble ourselves, He can start to guide us and shape our brokenness into blessing. The second take-away that was important to us as we wrote this story is community. My signature hash tag is #ConnectContributeBelong. I’m huge on the importance of building actual, physical, community (not just having virtual community). We don’t have to travel our broken roads alone. God has given us friends and family to lean for support and encouragement. This can make a huge difference when we are going through trying times. I think so many people suffer from depression and suicide because they think they are alone. Mother Theresa said the greatest poverty we have today is the feeling of loneliness because we have forgotten that we belong to each other. So many people feel like this. They feel alone. The feel that no one understands or cares what they are going through. What a travesty. It’s so simple to be there for someone. You don’t have to be a professional counselor or therapist to help someone heal from a wounding. Sometimes the very best thing is to just to take a moment from your day to pause, listen, and lend a hug or word of encouragement. On the flip side, if you are traveling a broken road it can be difficult to let people into your pain. It takes a lot of courage to be vulnerable and ask for help. But here’s the secret… people love you and want to help you and be there for you. Needing to be loved and cared for is not a sign of weakness, it’s the way we humans need to relate to one another to build real and lasting communities. By the way, building community this deep requires that you get off social media, look up from your phone and have actual human contact! Just sayin’…. Alexis: Why is Amber, your story’s heroine, angry at God? How does God respond to her anger? Jennifer: Amber is angry because she doesn’t understand why God would take her husband away and leave her daughter fatherless. God responds steadfastly. He is always there for her, but she just can’t see it. Eventually Amber hits rock bottom and finally surrenders. It’s at that moment when her life starts to really find hope and redemption. Alexis: Tell us about Amber’s nine-year-old daughter Bree. What’s her favorite cupcake flavor? How deep is her bond with her Mom? How is she handling the aftermath concerning the death of her dad? Alexis: If you were a professional grief counselor and you could step into your story to walk Amber and Bree through their heartache, what would you say? Alexis: In what ways does God work behind the scenes to fill Amber’s empty heart with His Love? Jennifer: A million ways… But Amber just can’t… or won’t see it right away. She’s very stubborn and has to learn through hard knocks. (Don’t we all!) But in the end, the main way God works through her is the character of Nelson, a man from Darren’s army unit. I won’t spoil it, but Nelson ends up playing a HUGE role in Amber’s transformation. Alexis: Cody Jackson is the hero of this story. What’s he like? Describe his look, personality, heart, and the reason why he has a death wish. Jennifer: I wouldn’t say Cody is the hero of this story. Amber is our true hero. When Harold and I wrote the original script of this story, we were very insistent that we didn’t want to create the kind of story where boy saves girl. We wanted the real love story to be between Amber and God. God’s persistent love for Amber (via a very impactful intervention from an unsuspecting character) is what saves Amber. However, Cody is a strong catalyst in Amber’s transformation. He plays a pivotal role in that he awakens Amber’s heart and mind to things she needs. Cody is country-boy handsome, has a genuine smile, and is a total gentleman. But he has his own demons to fight. He has a death wish because he’s impatient. He wants to reach his goal of being a professionally competing stock car driver – now! And at any cost. This gets him in trouble over and over. Alexis: What does Cody love the most about being a racecar driver? Why? Jennifer: He likes going fast. Makes him feel alive. He’s a visceral person. He acts on instinct. This keeps getting him in trouble in the track. Alexis: Why is it important to Bree for her Mom and Cody to be friends? Jennifer: Cody gives Bree a new lease on life when she joins Cody’s go kart club. Bree can see the goodness and lightness in Cody and she knows her mother needs that kind of influence in her life right now. Alexis: Who notices first that love is in the air between Cody and Amber? What made the sparks fly? Jennifer: Cody. Definitely Cody. Cody has his eye on her from the first time he spots her across the church parking lot! Amber isn’t really ready to try love again until the very end of the story. Alexis: What role does Cody’s daredevil tendencies on the racetrack and Amber’s guarded heart play in their love story? Jennifer: There’s a scene where Cody gets Amber to drive his race car on the track. It’s the first moment of “fun” Amber has had in a LONG time. This playful moment is the catalyst that starts to break down the wall around her healing heart. Alexis: In what ways does Cody’s walk with God grow as this story progresses? Jennifer: When Cody steps into Clarksville, we learn he isn’t really the church going type. But his mentor, Joe, insists that he attend church with him and sets Cody up leading a kid’s ministry. As Cody starts to get involved, the church community becomes an important part of his new life. His walk with God is directly related to becoming involved in this new community of Christians. I think that’s how it happens for a lot of us. We find God along with finding friends who love and serve God. The devotion of our family and friends to their faith can often become an inspiration for our own personal growth and relationship with God. Alexis: Share how your book became a movie. When can we see it in theaters? 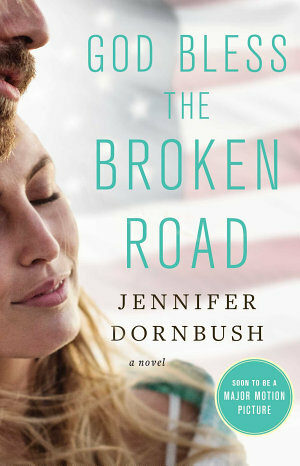 Jennifer: God Bless the Broken Road (GBBR) actually began as a feature film script three years ago. My friend and director, Harold Cronk, who is best known for the God’s Not Dead movies, called me one fine summer evening. He pitched me the seed of the idea and asked what I thought? I said I thought it sounded like a solid story. And then he asked if I wanted to write it with him. Of course, I said yes. We finished the first draft of the script on Christmas Eve, 2014. Over the course of the next year we refined it while the producers rallied the funds. In the spring of 2016 Harold shot God Bless the Broken Road. A few months earlier, as we finished the script version, I talked with the producers about penning a novel version. They thought it would be a great idea. So my agent, Julie Gwinn, put a pitch together and while we were filming I quickly wrote the first three chapters. Within two weeks Julie had procured a couple contracts. We happily chose Simon & Schuster. I spent last summer scribing the novel and here it is a year later. The film version is also “in the can” as we say and will be releasing in 2018. Alexis: Thanks for the interview, Jennifer! Do you have any closing comments? 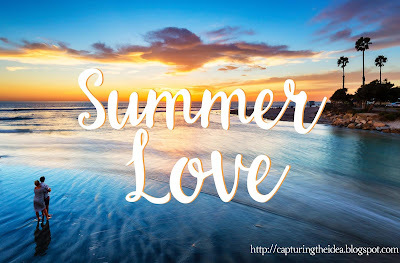 Summer Love: Book Review and Excerpt from "Finding Love in Seaside"
Welcome my writer friend Angela Ruth Strong to the blog! She's here to share an excerpt from her story "Finding Love in Seaside". 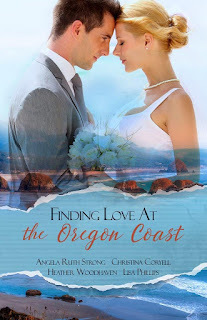 It is the fourth and final story in a story collection called, Finding Love at the Oregon Coast: A Romantic Novella Collection. 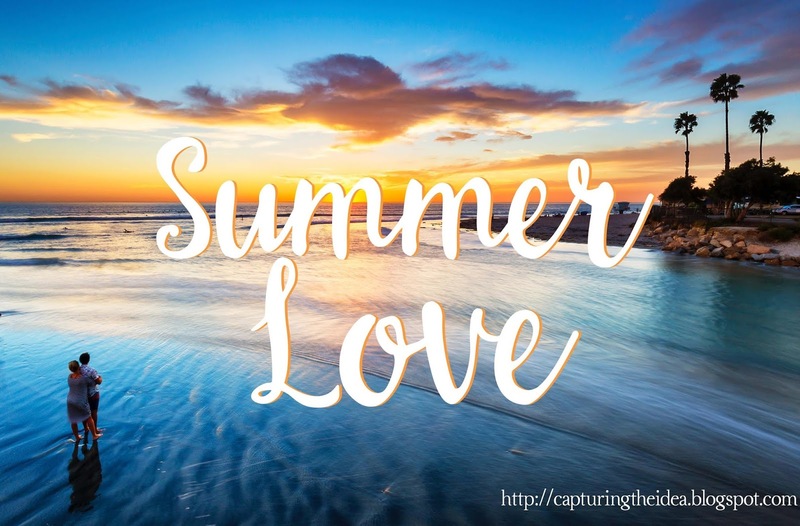 "Finding Love in Seaside" story blurb: Christina plans to spend her honeymoon alone, but when the bed and breakfast owner offers her a position as cook, she starts to feel at home in his kitchen…and in his arms. My Review of “Finding Love in Seaside” by Angela Ruth Strong: I truly enjoyed this story by Angela Ruth Strong. I loved how she told the story of another Lake brother who was featured in her other Finding Love stories. Dave Lake is the hero of Finding Love in Seaside. His story is one of unexpected surprises and answers to prayer…both which show up in the form of Christina Lovejoy (the heroine). Christina walks into Dave’s life after she walks away from the man she was going to marry on their wedding day. She’s there for her honeymoon, without a husband. Their meet-cute is awkward, adventuresome and amazing all at the same time. The author knows how to tell a story! She draws the reader in from the start and keeps their attention until the end. The author’s storytelling style makes the readers care about the characters who are completely captivating! The structure of this story is solid and the scenes come alive on the page. My favorite line from this story is from Dave after a trust exercise in which he asked Christina to fall back into his arms. Here's the line that touched my heart: “You knew in your head I was going to catch you,” he said in her ear, “but you didn’t feel safe in your heart until you’d experienced me catching you multiple times. It’s the same way with God. The more we let Him catch us, the more our hearts trust Him.” Ultimately this story, though fictional, teaches a real-life lesson about learning to trust God. I loved every moment of these characters’ lives and would recommend this entire collection of stories "Finding Love at the Oregon Coast", to every woman who is a romantic at heart. Christina never imagined she’d be going on her honeymoon alone. She faced the massive, yellow, Victorian home nestled on a cliff above an ocean and took a deep breath of salty air. She hitched the full tulle skirt of her wedding dress and climbed the steps to let herself through the solid front door. The entryway was as dark as the exterior was bright. Christina squinted to see in the drastic lighting change. Everything from the floor to the walls to the ceiling was made of wood, everything except the brick fireplace. It gave the room a manly feel despite the antique furnishing and Oriental rug. Was the place run by a man or a woman? And where were they? It was incredibly quiet except for some kind of dripping sound. And footsteps pounding overhead. A man raced down the stairs. He barely glanced her direction before charging to a roll top desk and grabbing a phone. He dialed then ran a hand over his head while waiting for someone to answer. She could hear the ringing on the other end. Maybe the man hadn’t seen her. The room was pretty dark. She waited for him to slam the phone down before speaking again. “Hi, I think I’m a little early for check-in time.” Maybe that was the problem. He wasn’t ready for her arrival. His gaze flicked her way. He was average height with light brown hair and hazel eyes, but with over average confidence that somehow made his ordinary appearance an asset. Like he would have been picked to run CIA operations since he could blend into a crowd so well. He looked past her out the front window. Why was he ignoring her? What was wrong? With his bizarre behavior and the dark room, she was starting to get a little creeped out. She reached for the light switch and flipped it up. “No!” He held out his hands and sprinted from behind the desk to stop her. What was the big deal? Something strange was going on. A zapping sound came from overhead. She startled, looking up. Lightbulbs popped on then flickered. Sparks flew. The huge, brass light fixture dropped from the ceiling and swung from a cord. It was like she’d stepped into the Twilight Zone. And she’d thought her day couldn’t get any worse. The man dove for the light switch and flipped it off as if that might prevent the chandelier from tugging at the frayed cord until it snapped. Too late. Glass and metal crashed to the floor, splashing water across the room. Where had the water come from? Christina wiped a droplet from her face and squinted toward the spot the chandelier had landed. The large dark circle on the rug was actually a puddle. And the dripping sound she’d heard had come from a small waterfall now pouring out the hole in the ceiling. She gasped and covered her mouth with her hands. She’d walked in on the man trying to fix a leak, and she’d made it worse by involving electricity. The edges of his lips curved up like he wanted to laugh. He didn’t, but she still felt the judgement. Or was she just being sensitive? It didn’t really matter what this stranger thought. She was going to be fine. Eventually. For now, she’d pretend. She could do that. She couldn’t handle any more thoughts of her bleak future or her father’s disappointment or the loneliness without Mom, but she could yell when the water shut off. She nodded, lifted her skirt, and ran up the stairs, relieved the guy hadn’t gotten angry at her. Because then she would really have lost it. Steam poured from the bathroom door like she was dealing with a volcanic geyser rather than a busted pipe. She surveyed the problem and squatted down to get a better look at the spot underneath the sink from where water spurted. It truly was a pretty bathroom. She’d never seen a claw foot tub in real life before. And those octagonal white tiles on the floor looked to be authentic for the time period. Would they have to be ripped out to repair the water damage? At least that part wouldn’t be her fault. The stream of water sputtered. Slowed to a trickle. Dried up. “It’s off,” she called. Could the manager hear her? The place was huge and she didn’t know exactly where he’d gone. She listened for a response. Nothing. She eyed the pipes one more time. They were still off, but if the manager didn’t know he’d succeeded in his endeavor, he might keep turning knobs and get it started again. She gathered her skirt to head down the staircase like a character from Gone with the Wind. She wished she’d changed before leaving the wedding. The bed and breakfast manager hadn’t said anything about her being a runaway bride, but he seemed to find it amusing. She was like the punchline in a cruel joke. Angela Ruth Strong studied journalism at the University of Oregon and published her first novel, Love Finds You in Sun Valley, Idaho, in 2010. With movie producers interested in her book, she's decided to re-release it and write sequels as a new series titled Resort to Love. 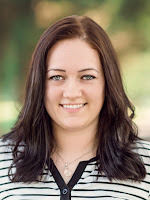 This Idaho Top Author and Cascade Award winner also started IDAhopeWriters to encourage other aspiring authors, and she's excited to announce the sale of her first romantic suspense novel to Love Inspired Suspense. Presumed Dead releases in February.